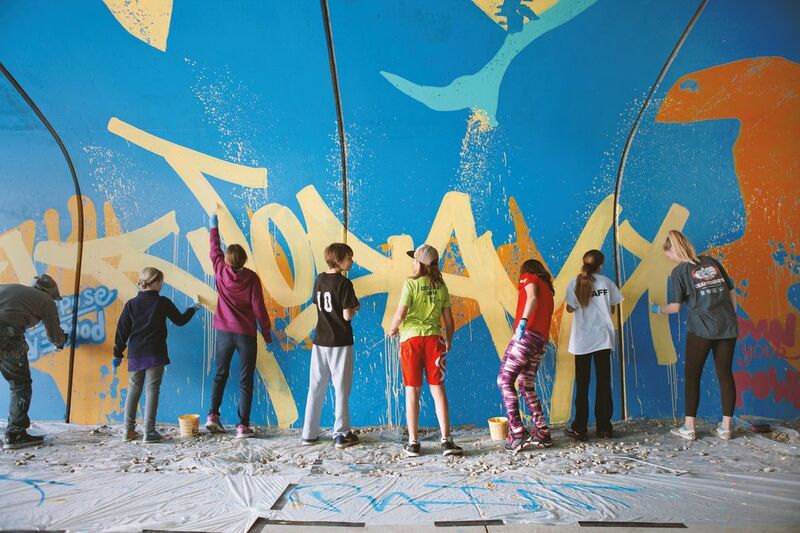 More than 60 tweens and teens from across Summit County participated in the “Future is Now” mural project. Growing up in the urban east in the ’90s, Bisco Smith immersed himself in New York City’s hip-hop and graffiti art culture, tagging buildings, creating mix tapes, deejaying, and writing hip-hop lyrics. “I was a troublemaker,” he says. “It all starts with rebellion.” Fortunately for him, Smith was able to channel the insurrection of his youth into a fine arts degree and, eventually, international fame as a visual artist. And though his edgy street art may seem, at first glance, disparate from Park City’s outdoorsy, mountain-town ambience, the group he collaborated with to create Park City’s newest piece of public art can likely relate to his work in a very personal way. 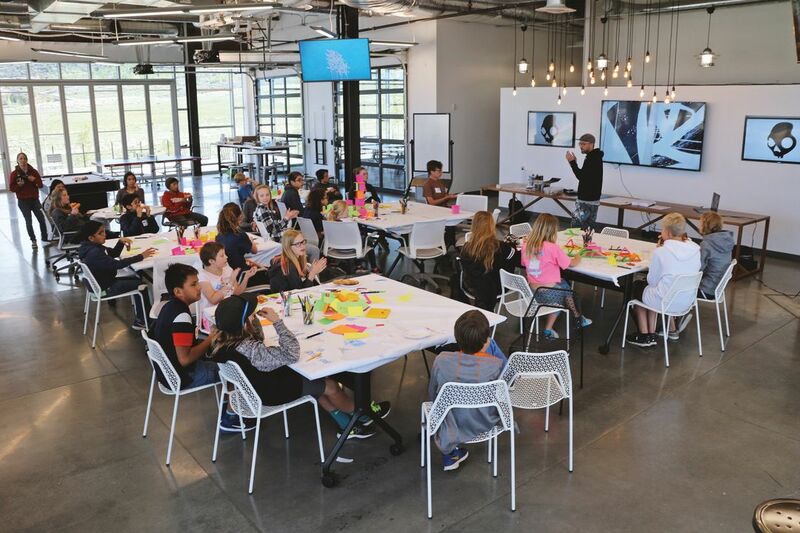 The students design the mural with Smith at Skullcandy. THE FUTURE IS NOW video by Jasmine Angelique.